When it comes to the production of the best and affordable products in the manufacturing industry, the name Xiaomi should come to mind. With this company, you can be assured that your money is well spent. Before now, many customers have the idea that Xiaomi is a smartphone manufacturing company but the truth is that Xiaomi is much more than smartphone manufacturing. It produces all sorts of products which range from smart TVs to projectors, mopping machine, alarm clocks, backpacks, shoes, accessories such as Bluetooth mouse, keyboard, and even medical assistants. 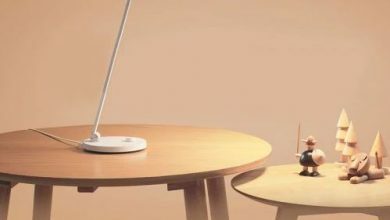 Now, Xiaomi Smart LED Desk Lamp with four lighting modes & Wifi connection is currently available on Gearbest. This product comes with amazing features that are bound to give you improved readers attention as well as prolong reading time without tiring. 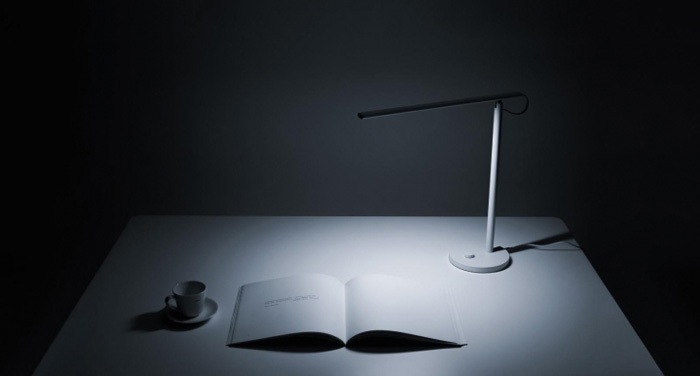 As for the design, the lamp has a very minimalistic design. You get a super thin stand and a thin tube, so it should be easy to place it anywhere you want without taking a lot of space. This lamp has a dimension of 15.00 x 44.50 x 44.50 cm with a total weight of 800 grams which means that it is quite portable and can be easily carried for night studies. 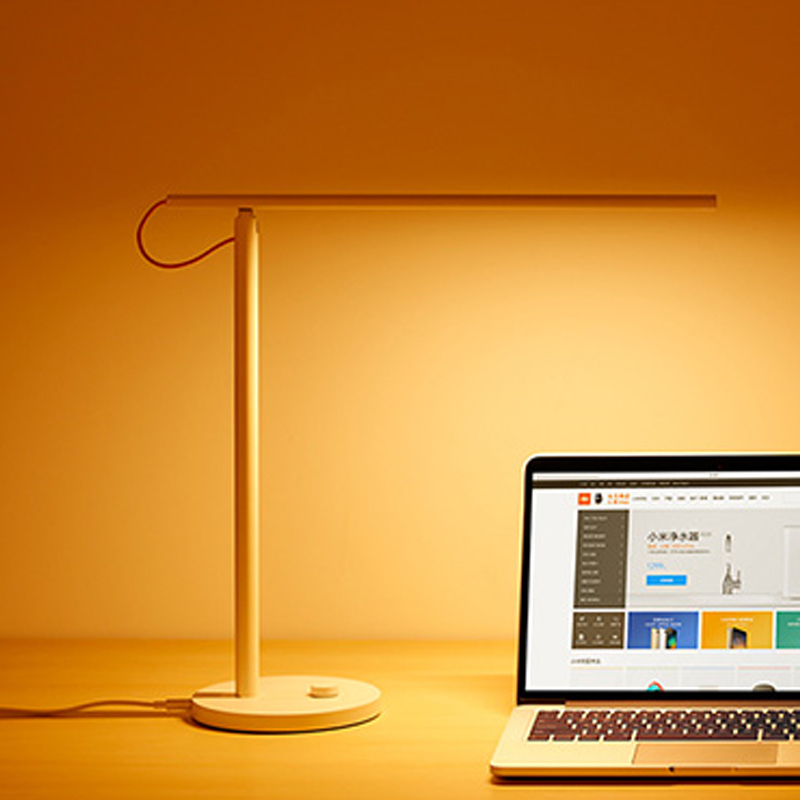 The Xiaomi Mijia Smart LED Desk Lamp works with IFTTT (If This Then That) which helps to automate everything from your favorite Apps and websites to App-enabled accessories and smart devices. This is an easy/free way to get your apps and devices working together. Furthermore, you could use IFTTT to automatically turn on the light every time you’re tagged in a Facebook photo. In another example, you could set your light to be turned on, if a motion is detected in your home when you’re not at home. Amazing right? 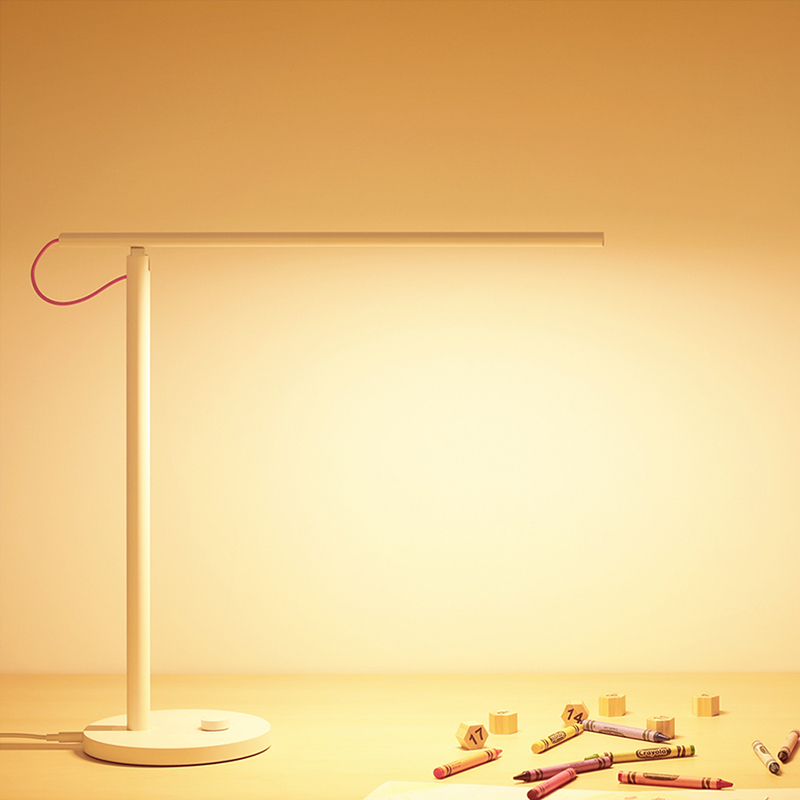 Xiaomi Mijia Smart LED Desk Lamp comes with four lighting modes for different needs namely Focus mode, Read mode, PC mode and Kid mode. 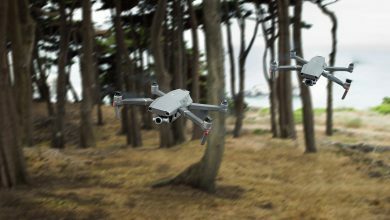 In focus mode, users can set up a “focus time” and “rest period”. 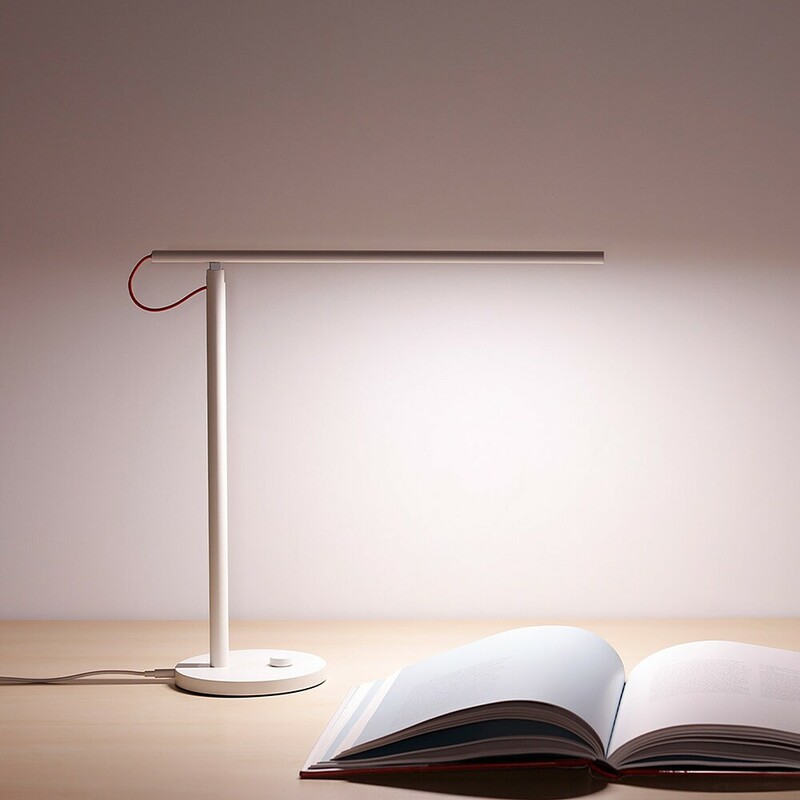 When each “focus time” is completed, the lamp will remind the user to take a rest via “breathing light”, which helps users improve work efficiency and reduce eye fatigue. In read mode, the Mi smart LED lamp provides users with a more neutral color temperature (4000K) and 100pct brightness, which improves readers’ attention as well as prolong reading time without tiring. The PC mode comes with a 2700K color temperature pleasant light which is designed to reduce the proportion of blue light when using computers thus protecting your eyes because blue light from computers can be damaging to your eyes. The kid mode is designed for children. Since the eyes of children haven’t developed completely and can be easily hurt, the Mi Smart LED lamp has the “Kid Mode” which has the Biosafety Certification to meet the latest safety standards. 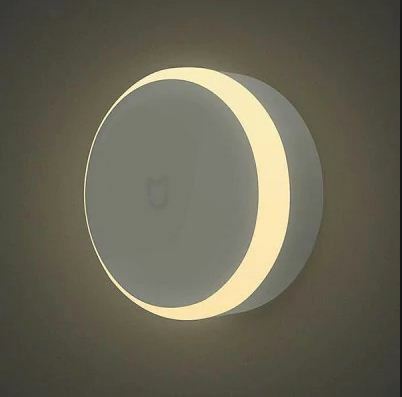 It silently protects the children from damaging their eyesight and with this lamp, you can set the temperature and brightness of the lamp via the connected MI smart home App. This is definitely handy for all your lighting needs. This Mijia Smart LED Desk Lamp has a 25000 hours lifetime and it is compatible with Android 4.0 / iOS 7.0 and above systems. It is also compatible with Wi-Fi IEEE 802.11 b/g/n 2.4GHz Wireless connection which means that it perfectly fits into the current Internet of Things (IoT) class. With an Input of AC 100 – 240V, 50 / 60Hz, 0.2A, Color temperature range of 2700 – 6500K, Brightness range of 1 -100pct and Color rendering index of 83, this lamp delivers just what you need.